BC high performance camshafts are ground on state-of-the-art CNC cam grinders to insure accuracy and tolerances to within .02mm. Every BC camshaft profile has been prototyped and dyno tested for proven horsepower results prior to placed into mass production. By grinding cores in high volume, Brian Crower, Inc. is able to pass the cost savings on to the end user. Quality at an affordable price. BC uses small diameter grinding wheels during the finishing phase when applicable to generate a more aggressive ramp rate for a faster cylinder fill rate. More air + more fuel = more power. Although it takes longer to grind the cams, research and development has proven that the inverted radius created by the small grinding wheel on the opening side delivers more horsepower on radius and roller rocker applications than the conventional, large diameter grinding wheels. All BC cams are checked on a high speed, sub-micron accuracy measuring gauge. The Adcole Camshaft Measuring System uses individual measuring heads for each cam journal and cam lobe, with .01 micron resolution, taking one datum point each 1/10th of a degree or 3,600 data points per revolution. Measuring camshafts for rise error and chattermark detection, this model can measure 200 parts per hour. BC billet crankshafts are made from only the highest grade, 4340 steel bar stock to guarantee the strongest part available at any price. 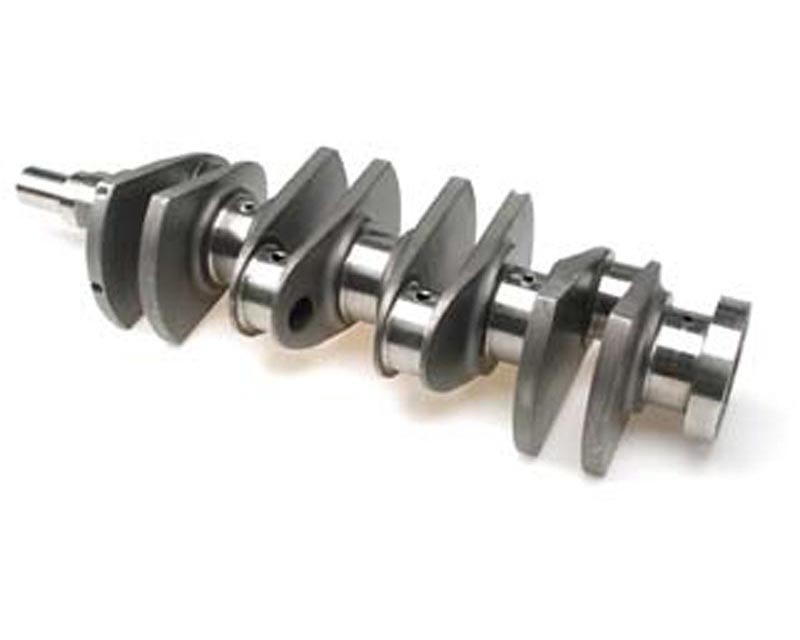 CNC machined on state-of-the-art mills and nitrided for added longevity, BC billet crankshafts are ground to exacting tolerances for easy, trouble free installation. BC cranks are sold separately and most engine makes are in stock for immediate delivery. Note: Pictures are for representation only, actual product may vary.